HOMEPRO MEDICAL.COM - Independance and Mobility, Medical Supplies for people at home. Often referred to as a power operated vehicle (POV), the powered mobility scooter is a great option for those who have mobility limitations. The Pride mobility scooter offers a greater level of mobility and independence for the user that is not available with a manual wheelchair or walker. Compared to powered wheelchairs, scooters are easier to use and more efficient to store. 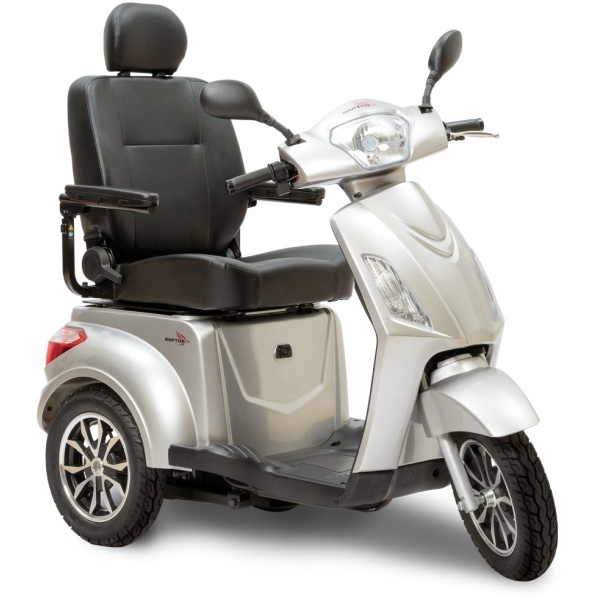 At Homepro Medical, we offer an array of Pride mobility scooters to meet the various needs of individuals. You can access a range of options with mobility scooters, including weight capacity, wheel size, transportability, charge length, three or four wheeled models, speed capabilities, and more. It is easy to operate the scooters, somewhat like driving a golf cart. The cost of these efficient machines can vary but serve as a valuable investment to provide individuals with the freedom and independence they desire. Although there are many options available when it comes to mobility scooters, those manufactured under the Pride name deliver excellent performance results for the user. The scooters are engineered for long-term value, reliability, and durability after repeated use. Operating these vehicles is easy, requiring only a touch of the throttle to get going. If you need a mobility solution and you are planning either a simple trip to the mall, and outdoor all-day excursion, or some other activity, a pride mobility scooter may be the answer you need. Most scooter models are easy to disassemble and assemble. There are only a small number of lightweight pieces you need to handle and they are easy to store. You can start your journey for greater independence and mobility with the purchase of a Pride mobility scooter. For more information about your options when it comes to Pride mobility scooters, review our selection on our website, or call us today at 800.437.3677. Copyright © 2011 - 2019, Homepro Medical Supplies, LLC - All rights reserved.